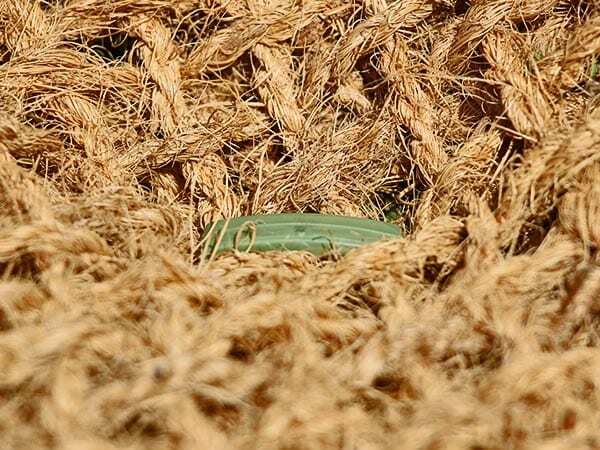 GreenStake™ Biodegradable Pins are a 100% biodegradable product for anchoring (pinning down / retaining) a wide variety of landscape fabrics including erosion control blankets, erosion control meshes, weed mat and geotextiles. They can also be used on sports-grounds, golf courses and turf or lawn installation. GreenStake™ Biodegradable Pins are made from plant based materials derived from wheat and potato starches. Biodegradable pins are pins which contain zero petrochemical plastics and break down into compost like material with no other by product left behind or created once decomposed. Degradable pins can still contain petrochemical plastics which brake down into smaller pieces when exposed to sunlight and heat over long periods of time. Because of this process these smaller pieces of plastics can remain in the ground without disintegrating due to the lack of sun exposure and heat when buried in the ground. There are a lot of companies claiming or mistakenly selling their pins as biodegradable or biobased plastics but are actually classified as degradable. Products and materials must also confirm to international standards of what is classed as biodegradable. These standards state to be 100% biodegradable the material must break down via composting process with only carbon dioxide, water and humus (constituent of soil make up) as the end result with no other by products. 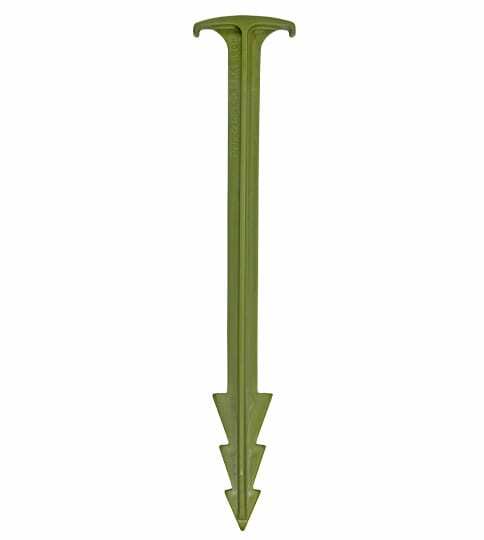 GreenStake™ Pins conform to ASTM Standard D6400 and the International Standard EN13432. Other degradable products do not conform to these standards and can still contain petro-chemical based plastics. Degradable pins are generally cheaper to buy due to plastic being cheaper material and they are also a lot easier to manufacture than biodegradable pins. Why Use Biodegradable Pins Over Steel Pins? GreenStake™ Biodegradable Pins are a safer alternative than steel based pins in application of heavy traffic (people, animals and machinery), eliminating the risk of injury and damaging machinery. 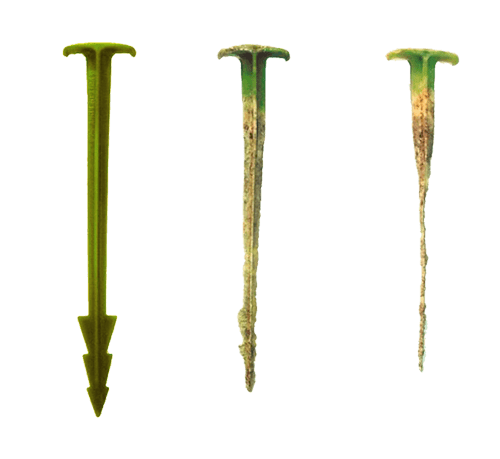 GreenStake™ Biodegradable Pins have greater holding and gripping power due to its greater surface area and also include barbs on the pins shaft, this design means that the 15cm biodegradable pin has as much gripping power as a 30cm steel pin would have. Biodegradable pins are also better for the environment only breaking down into carbon dioxide, water and humus (compost). How long will it take for biodegradable pins to break down? GreenStake™ Biodegradable Pins break down naturally in the soil via microbial activity. The pins are designed to last over 18 months before before biodegrading. Please note that degrading times can vary due to changes in temperature, moisture and microbial activity. How long can I store GreenStake™ Biodegradable Pins? 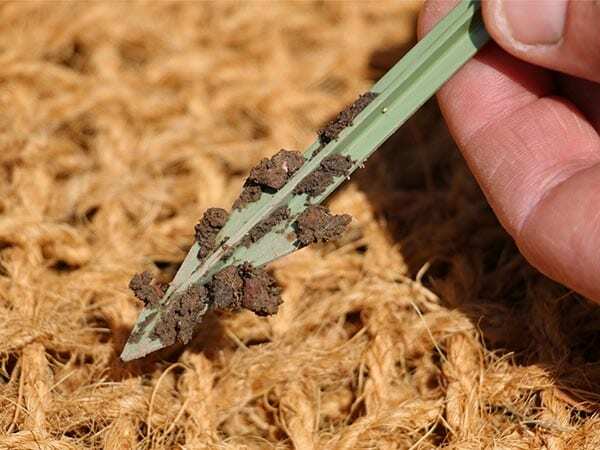 GreenStake™ Biodegradable pins can be stored dry indefinitely in typical warehouse or shopfront conditions, biodegradation only begins when in contact with the soil. Take a look at the biodegradable pin breaking down. The head of the biodegradable pin did not biodegrade at the same rate as the shaft due to the head sticking 3.8cm out of the soil during the test for identification purposes. Don’t forget to ask us about our bulk buy discounts.